It’s a Queue Three-fer! We’re Making Up Words! It’s a DVD bounty, ladies and gentlemen, with a trio of recommendable titles coming out all at once. If you can’t find something to love this week, well, let’s be honest about it, your taste may be questionable. 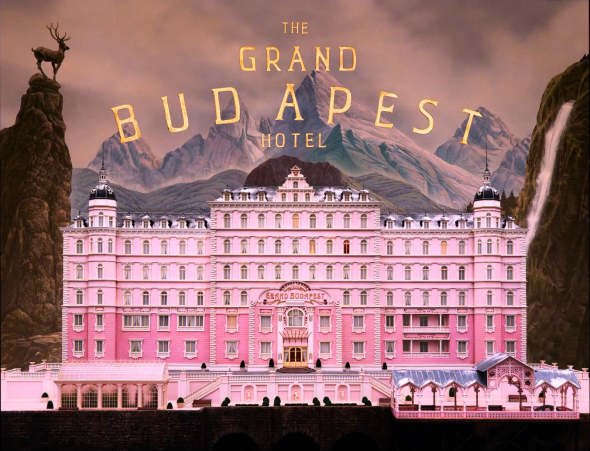 First up, the utterly glorious Grand Budapest Hotel. Visually stunning, wickedly clever, a little mournful and, yes, quirky, Wes Anderson’s latest can’t be recommended highly enough. Tired of Frozen? (Aren’t we all?!) Well, rejoice, because the relentlessly clever and endlessly fun The Lego Movie cometh. A good-hearted energy and clear love of Legos (the world’s awesomest toy) fuel a film that’s guaranteed to entertain and amuse, whether you’re under or over 3 feet tall. If you’re looking for something a little darker, David Gordon Green’s latest, Joe, is here to remind us all that Nicolas Cage can actually act. Forgot, didn’t you? It’s a coming of age film as brimming with poetry and brutality, with an outstanding cast surrounding Cage, who gives the bug-eyes and screaming a break in favor of a nicely nuanced, wounded performance.